This article is a full review of the top 10 UFO reporting websites in the world including MUFFON, NUFORC, CUFOS and many more! After researching UFO sightings for countless hours including avenues for UFO reporting we’ve come down to the top 10 who are able and at the ready to receive your sighting information and actually publish it for everyone to compare to see within their public databases. 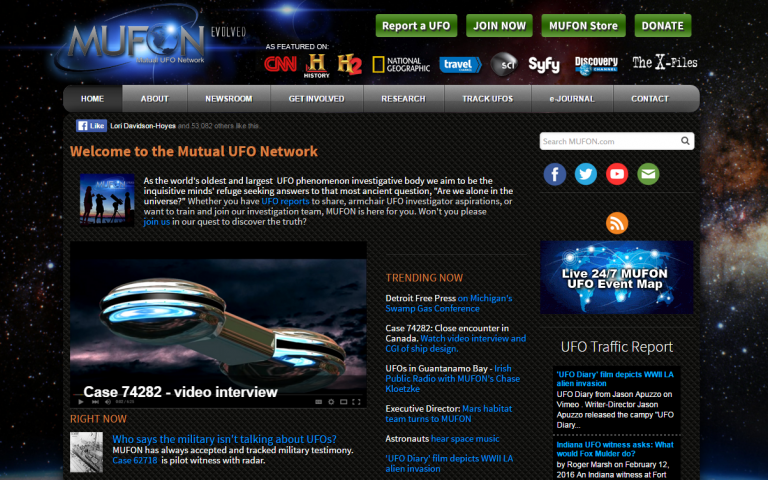 www.mufon.com is one of the worlds largest and best known UFO reporting websites. Because they’ve been around long before the internet (since 1969 to be exact), they’ve had time to gain people’s confidence and now tout a 250k plus annual revenue from over 150 annual benefactors including the likes of Dan Akroyd. We find them very reliable for many reasons including the fact that they use the Scientific Method when collecting and analyzing all reports, in order to ensure they have enough information before even starting to create a hypothesis about what we might be looking at. The website as a whole is generally very easy to navigate and well organized. It includes a powerful database search tool that allows us to search by several different parameters including date, place, type of shape and/or colour. Their mapping tool utilizes google maps via www.ufostalker.com and includes all the same filters in order to narrow down your search, including but not limited to using it to lets say track a UFO as it happens if it seems to be flying across multiple provinces or states in a single voyage. They have a very extensive online reporting form which includes a place to upload up to five images and/or videos directly with your report which will all be publicly view-able. Since I personally saw a UFO only 4 months ago now and had a chance to test several online UFO reporting systems from beginning to end I found the MUFON experience to be the best one overall. My sighting was publicly viewable within 1 hour of posting it directly through their website. MUFON officially began on May 31, 1969. At that time it was known as the Midwest UFO Network. As it outgrew the Midwestern state boundaries to become a world class UFO organization, the name was changed to Mutual UFO Network. That allowed the acronym MUFON to remain as the organization matured. Allen Utke, Associate Professor of Chemistry at Wisconsin State University was selected as the first MUFON Director. A year later Walter H. Andrus, Jr., replaced Dr. Utke as the MUFON Director, a position he held until 2000 when he retired and John F. Schuessler took over as International Director. John retired in November 2006 and James Carrion became the International Director. James Carrion resigned at the end of 2009 and Clifford Clift became the International Director. He resigned in January 2012 and David MacDonald became took over. And now, at the 2013 MUFON Symposium in Las Vegas, Jan Harzan became the new Executive Director. 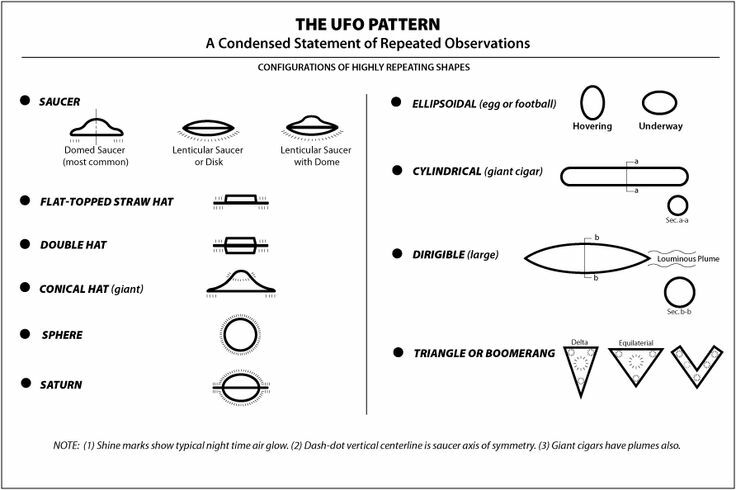 “Table of UFO shapes, from the classic book published in 2008, “Unconventional Flying Objects” by Paul Hill (a NASA/NACA engineer who developed an interest in UFOs in the 1950s after having two sightings of his own and privately studied UFOs for years). His list of UFO shapes above, did not include the very large V-shaped (boomerang / crescent), the triangular and the smaller triangular/pyramid UFOs. Those were quite rare in the 1950s – 1970s, when Paul Hill collected data and wrote his book, but became very common in the 1980s and beyond (there are several documented sightings of very large black triangular UFOs even in the 1960s, so it’s not a contemporary phenomenon). 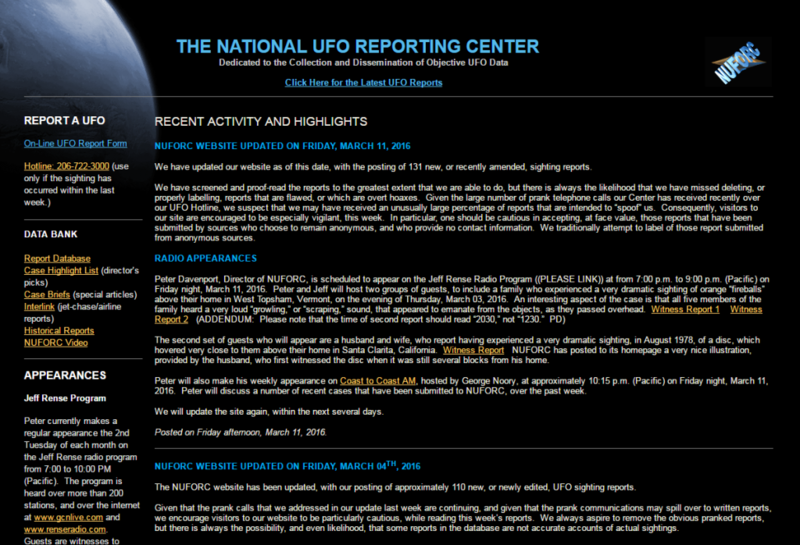 http://www.nuforc.org is the National UFO Reporting Center, located in Seattle, WA, and was founded in 1974 by noted UFO investigator Robert J. Gribble. Since it also was founded well before the internet, one really impressive thing to note is that it has a 24/7 hotline where you can call your sighting in. The website is very well organized which makes it quite simple to find what you’re looking for. The Center’s primary function over the past two decades has been to receive, record, and to the greatest degree possible, corroborate and document reports from individuals who have been witness to unusual, possibly UFO-related events. The principal means used by the Center to receive sighting reports is its telephone hotline , which has operated almost continuously since 1974. During that period, the hotline has processed many tens of thousands of calls, and the Center has distributed its information to thousands of individuals. Several facets of the Center’s operation have contributed to its international reputation. The fact that its hotline is staffed up to 24 hours a day makes it available at almost any time a sighting may occur (Please see below for preferred hours of operation.). In addition, the Center’s independence from all other UFO related organizations, combined with its long standing policy of guaranteed anonymity to callers, has served to make it perhaps the most popular and widely accepted national UFO reporting facility anywhere. The hotline is well known by law enforcement agencies, FAA ARTCC’s and flight service stations, National Weather Services offices, military facilities, NASA, and many 911 emergency dispatch centers all across the United States and in many parts of Canada. Those entities routinely direct the calls they receive regarding possible UFO sightings to the Center. One of the Center’s policies, which distinguishes its operations from most other UFO organizations, is that it makes available to the public all of its data in summary form. Detailed information is made available to experienced UFO investigators. Monthly sighting report summaries are posted on this web site. The National UFO Reporting Center is a non-profit Washington State corporation, and it is applying for federal 501 C (3) non-profit status. It supports itself through subscription revenues from its monthly newsletter, from sales of its video tapes, from sales of general information packets, and through honoraria for public presentations. www.ufoevidence.org has over 7,500 UFO sighting reports have been received and added to this database since 2003, making it one of the largest online repositories of raw witness accounts of unidentified flying objects. The website is very nicely laid out and boasts in-depth research on the phenomenon of unidentified flying objects (UFOs), with over 2,000 quality articles, documents and resources, organized into over 80 topics. Many aspects of the phenomenon are covered, including evidence, analysis, implications, and the related inquiry into the existence and nature of life in the universe. “If you have seen a UFO at any time in the past or present, we would be very interested in receiving a report of your experience. Please fill out the form below to report your UFO sighting. The more detailed information that you can provide, the more useful it is for readers and for researchers. You may wish to first write your report using a word processor (such as MS Word or WordPad), and then copy the text into the appropriate fields below — this way, you can save your report in case there is any problem with the form. http://www.cufos.org has a reporting system that consists of downloading a pdf which you can print out and fill out. You have the option to mail it and any printed pictures directly to their Chicago office or you can scan your report and email it to them. Even though they don’t have an online form, the organization is primarily based from Josef Allen Hynek’s research into the phenomena. An early rocket scientist engineering weapons during the war, Josef is in many circles considered a godfather in the subject of UFO’s because he was contracted by the US Government to research the subject after WWII (around 1948). Because Josef was born in 1910 he was privy to a lot different ways of looking at the world than we are today and a solid biography written by Mark O’Connell is available here. 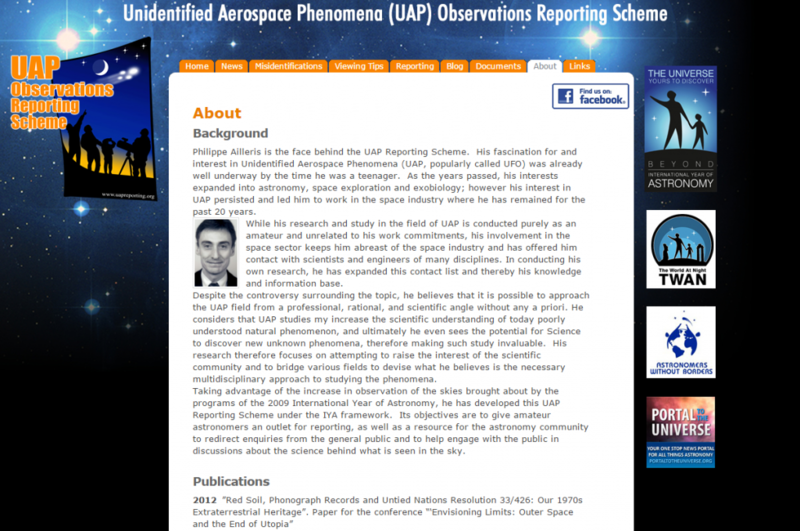 www.uapreporting.org is an International multilingual website initiated during 2009 and in the framework of the International Year of Astronomy, The Unidentified Aerospace Phenomena (UAP) Observations Reporting Scheme is a project aiming at facilitating the collection of UAP reports from both amateur and professional astronomers, via a questionnaire to be downloaded from a dedicated website. Their reporting form is very extensive and available in many languages other than English, including French, Spanish, Dutch, Portuguese, Russian and Italian. http://www.theblackvault.com is the largest privately run online repository of declassified government documents anywhere in the world. With more than 1.4 MILLION pages of documents to read, on nearly every government secret imaginable, The Black Vault is known worldwide for getting down to the truth… and nothing but. The website also includes what they call “UFO Detector” – a software tool that will let you utilize your computer and camera to scan the skies for possible UFOs. The software is the idea of a programmer going by the name of projectCE, who created a computer algorithm to scan a video feed from your computer’s camera. Once a light emitting object is detected, the program will analyze whether it’s a bird, a plane, a helicopter, a bug, or quite possibly… a UFO. This software continuously analyses the sky for movement and will omit the obvious and explainable objects. When it sees what it believes can be a UFO, it will record the video in the best available quality, and save the clip for you to review later. The software is still in its beta phase and it is not meant to be a 100% accurate filter. It will, however, save HOURS of time sifting through video, and produce a short list of results of probable UFO candidates for you to look at. 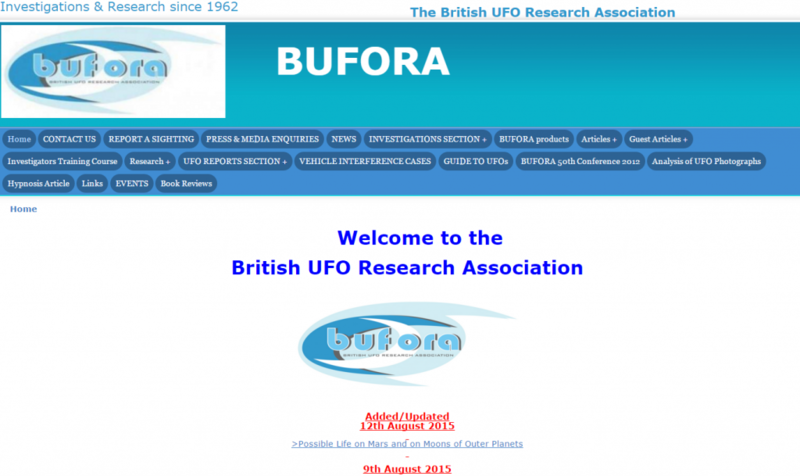 http://www.bufora.org.uk is of course a British bases UFO reporting website whose roots have also been around for over 50 years. organizations and individuals formed with an inaugural meeting at Kensington, London. These included societies such as the British Flying Saucer Bureau and the London UFO Research organization, early magazine producers and individual investigators. The BUFORA Journal was produced from 1962, and under various titles was the mainstay of contact for members until the website took over exclusively in 2005. A magazine format may return in the future. Hundreds of cases have been published in the journal and special study booklets have been produced in over half a century of ongoing focus on all aspects of the UFO phenomenon. 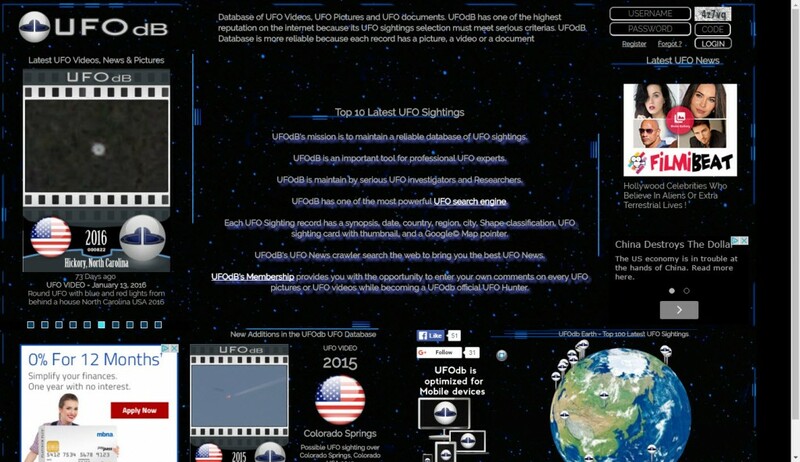 http://www.ufo.be is a well known European group that accepts new UFO reports via an online form and also publishes an updated sightings database including over 7500 sightings. 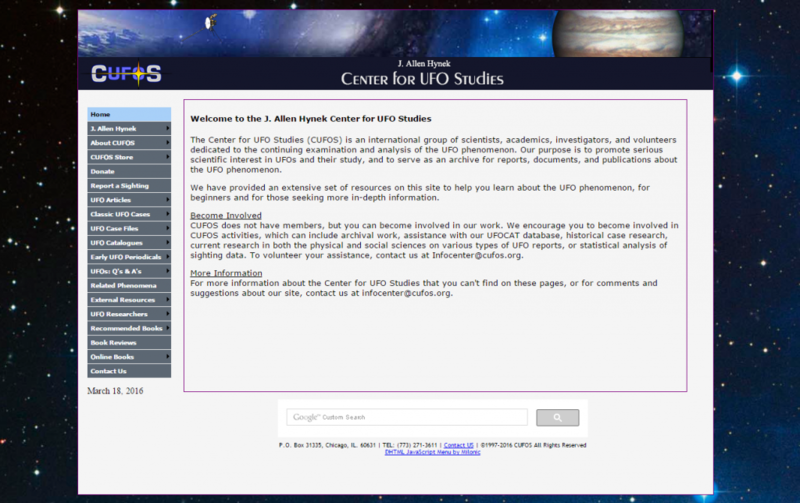 Founded in 1996, this website contains information, documentation, research and reports on space, UFOs in Belgium and abroad. 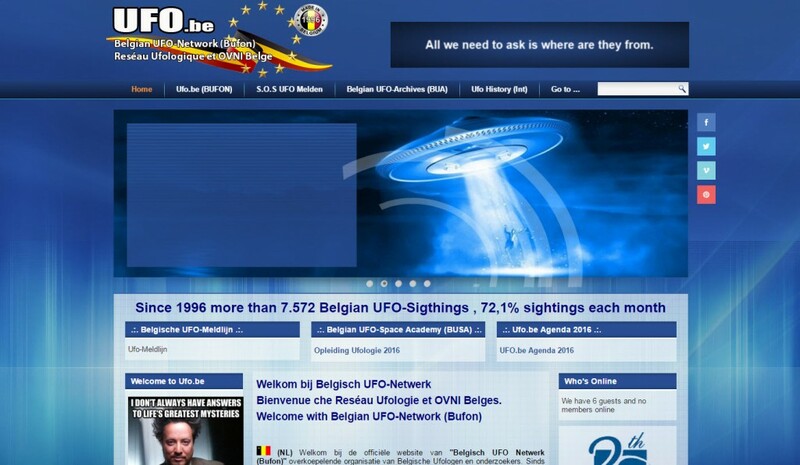 You can find a complete overview of Belgian UFO history, Belgian UFO archives, Belgian UFO reports and observations here. Also, all UFO hotspots in Flanders, Wallonia and Luxembourg can be reported and examined here. 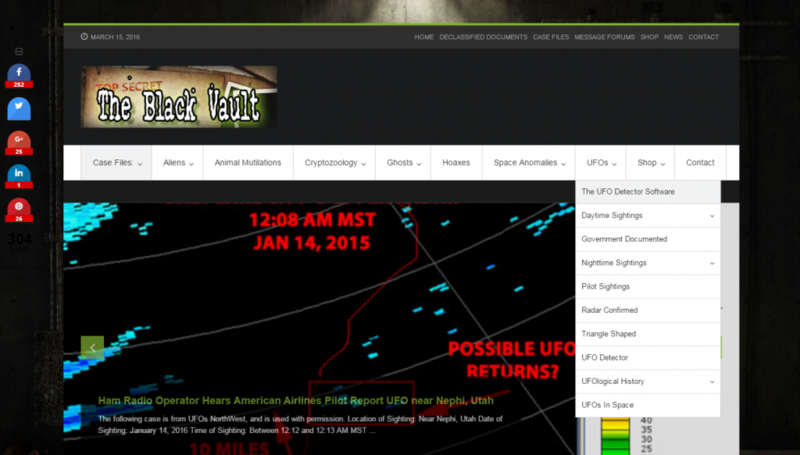 http://www.ufodb.com is a straight to the point website bent on helping everyone reporting a UFO. period. No strings attached. 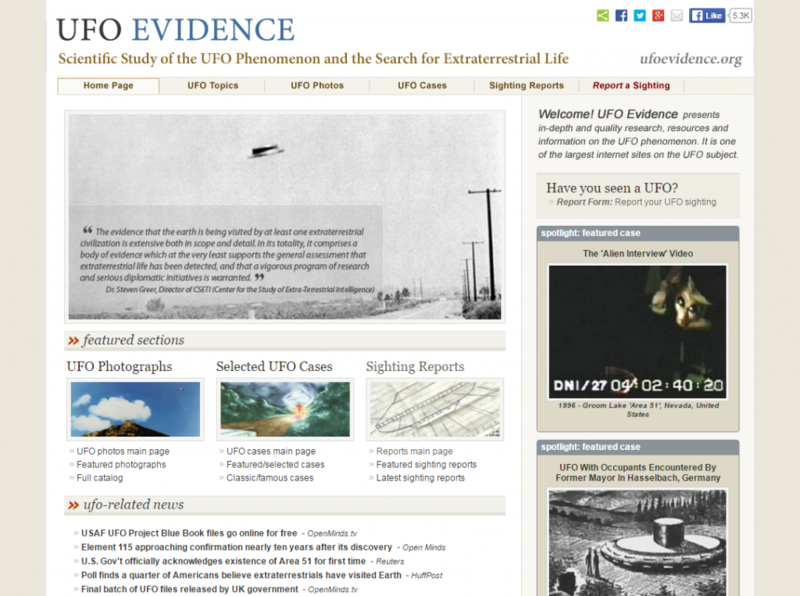 The website includes a database of UFO Videos, UFO Pictures and UFO documents. UFOdB claim they have one of the highest reputations on the internet because its UFO sightings selection must meet serious criteria and also claim they are more reliable because each record has a picture, a video or a document. 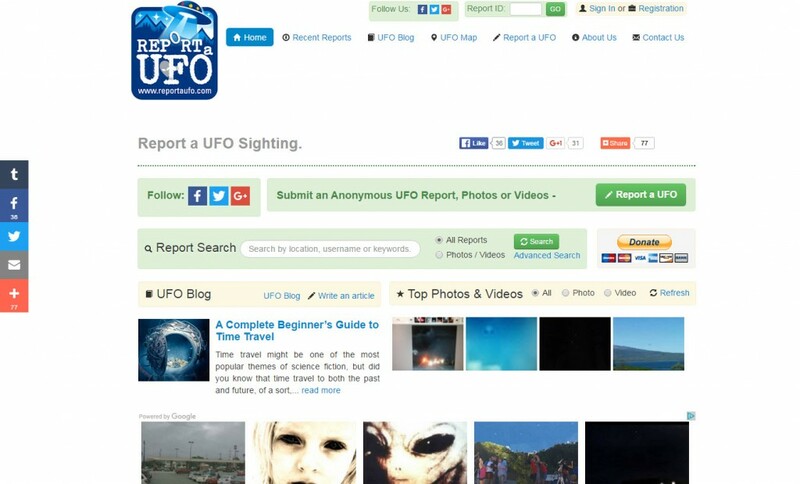 www.reportaufo.com is more of an anonymous UFO reporting tool aiming to gather more information on the subject and prove that there really is extraterrestrial life out there. Comments on each report are monitored on a day to day basis to keep the ridicule far away.